Who is commenting? 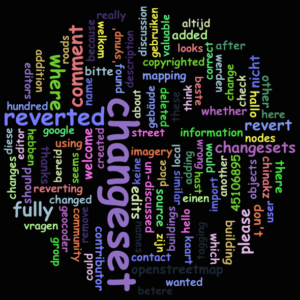 An Overview about OSM Changeset Discussions : Neis One! 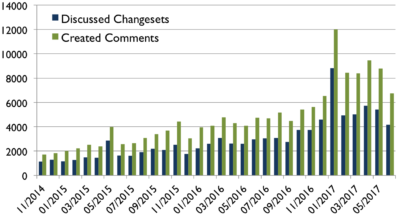 In total, more than 92,000 changesets have been discussed in the past few years with around 151,000 comments. All comments were created by almost 14,000 different contributors. 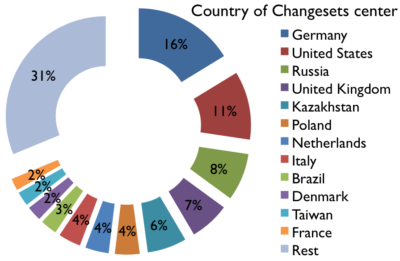 So far most changesets were commented in Germany, the United States, Russia and the UK, as you can see in the following images. This correlates to some extent, with the exception of Kazakstan, with the number of active contributors for each country (see e.g. OSMstats for active contributors). 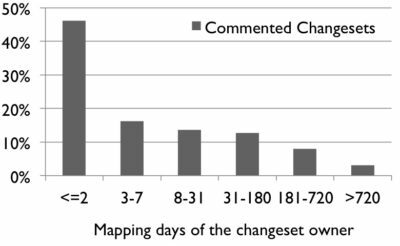 As shown on the right side, many changesets (71%) only received one comment or discussion. This means, in most cases the commented changeset did not receive a response by the owner/contributor of the changeset. Which changesets are discussed and who creates comments? I think it’s not surprising to see that most changesets by new contributors receive a comment. However, as the following charts show, there are also changesets by long-time contributors that have some discussions. It’s also quite interesting to see that all kinds of contributors (new and long-time) created discussions. 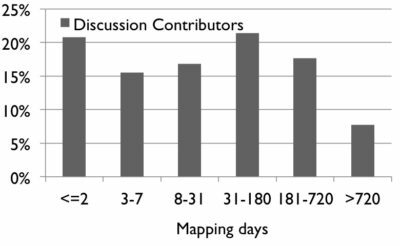 I would have expected a trend towards contributors with a higher number of mapping days. What is the origin of the contributor who created the comment? Again, not surprisingly, this correlates with the number of active OSM contributors per country as mentioned above. 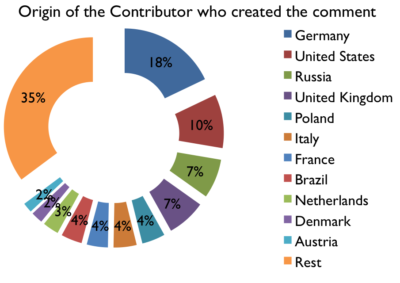 The contributors’ origin is determined by his/her main activity areas which you can find/see on “How did you contribute to OpenStreetMap?“. The last chart shows the accumulative changeset discussion contributors and comments. 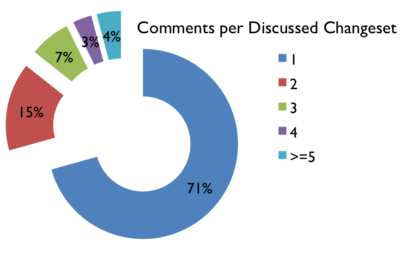 Almost 63% of all discussion comments have been created by around 2% of the contributors. However, I assume this looks very similar to other long tails of OpenStreetMap contribution charts. What do you think? Want to see the latest OSM discussions in your area or country? Check this webpage. 6 Responses to “Who is commenting? Can you also make it? I couldn’t figure out SQL for this one. Hi Michał, thank you very much for your comment. Hi Pascal. Could you do the same stats for changesets after April 2017 (release date of Maps.me editing mode) ? have been discussed. Almost 9,800 only got 1 comment. I’m a bit surprised by the result, but that makes it interesting !